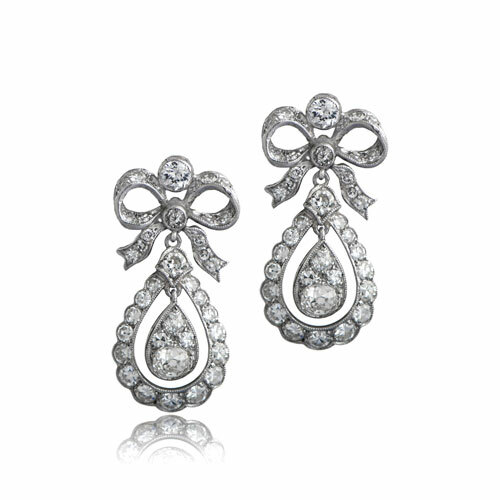 A lovely pair of Antique Diamond Edwardian Style Earrings, set in handmade platinum, with a floral halo and bow motif. 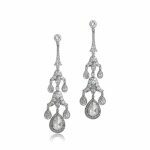 The pear shaped drop is comprised on four old mine diamonds with a total carat weight of approx 0.50ct. 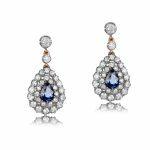 Fine milgrain adds to the delicacy of these earrings. The old mine diamonds are circa 1880. If you have any questions feel free to contact us. We will respond within 1 business hour. 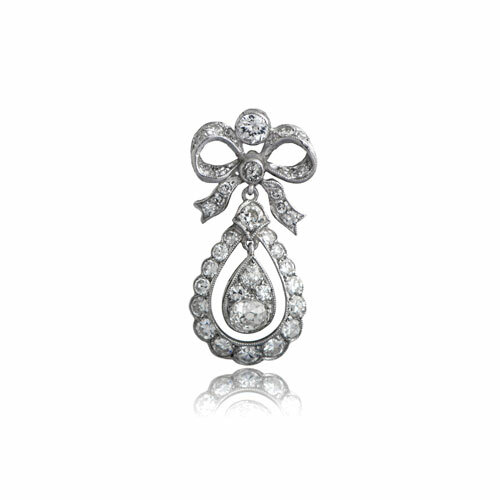 SKU: 10302 Category: Vintage Earrings - Contact us and request additional pictures.